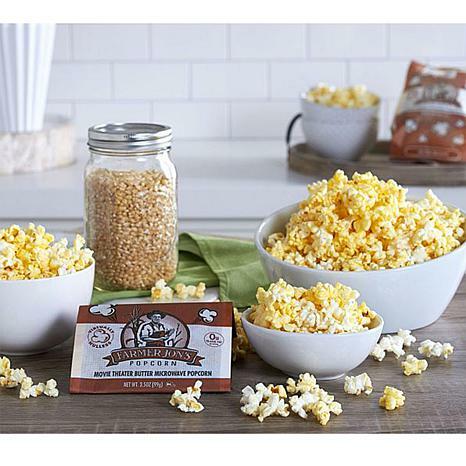 Be ready for movie night with this virtually hulless microwave popcorn. It has thin kernels, which helps prevent shells from getting stuck in your teeth. Enjoy the snack without the annoyance! 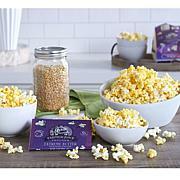 Ingredients: Popping Corn, Palm Oil, Salt, Natural and Artificial Flavors, Color (Annatto Extract). 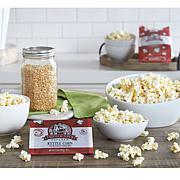 I bought the Movie Theater Butter popcorn just to try it out. I love the taste and quality of this popcorn. It is not too salty which with most other brands was an issue for me. I just went on auto-ship with the extreme butter. 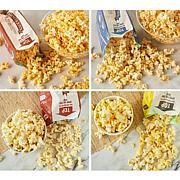 The key is to know how to reduce the temperature of the microwave so that it won't burn the kernels. I also do not use the preset popcorn setting on the microwave. 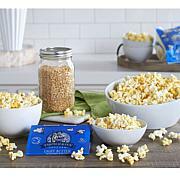 Somewhat disappointed that this was presented by both the manufacturer free of kernels that stick in your teeth not the case or did the movie theater flavor and after popping it it the butter dripped of the bag making a mess on the plate. Really didn't like this one. Maybe I should of ordered the extra butter one.But I ordered this one it was't enough butter flavor.It will very salty and just didn't taste no where near Movie Theater popcorn. This was a huge let down for me.That being said my kids like it.The only plus I can say is there really is a lot of popcorn in the bag but I got better popcorn at my local super market.